Are you thinking about going on a your first cruise? Read the story below from our friends at Accor Vacation Club Travel, for lots of helpful tips on making cruising easier. Cruising 101 showcases my own personal experiences for the Newbies and the more Experienced Cruisers alike. So far, I have sailed on many a cruise ship, to many a port, and so far as satisfying my own particular requirements for a cruising holiday – well that is now a snap. Read on as I share my favourites, and you just may find that they resonate along with you too! Nothing says HOLIDAY like a cocktail/mocktail with a tiny pink umbrella and a giant piece of pineapple. Until a glass of something cool and refreshing appears in my hand, I just can’t relax properly “Which floor are we on? Is the cabin down this aisle? Should we sit here and wait for the suitcase or take a stroll on deck? What’s the weather like? Too soon to get our swimsuits on? Do you think the spa will still be free? Is the lunch buffet ready to go? Can we book our shore excursions yet?” (And that’s just the first 5 minutes!!) Relax, you’re on holiday. Take my advice and… Cocktail dear? Oh yes please! Meeting, chatting and bonding over a Trivia contest or a Bingo card with a complete stranger is a no-no on land, however when you are cruising for a conversation a new friendship forms easily, even when you don’t know the answers to any of the Trivia questions! In fact, if you can laugh about the wrong ones, and it’s a surprise when you get one right, this is the formula for lifelong buddies. Well… at least for the duration of the cruise anyway. Suddenly you are a popular people person, with friends to chat with, join for dinner, drink cocktails and sing karaoke with and more. Beware the winning of a Trivia trophy – after all who will get to take it home after the cruise?!!! The real joy of any Formal Night in the main dining room, and out on the dance floor, is that of people watching. In other words, who does and who does not dress up. We’ll bet you won’t recognise that guy who has never been seen without his flip flops, eating lobster in suit and tie. Or the roundly rubenesque woman who insists on a bikini when she really shouldn’t… well, she is the picture of chic in her floor-length black velvet gown and all her dazzling diamonds on display. Even more amazing, the previously lively and boisterous children have had their hair slicked back, shiny shoes, donned smart shirts and jackets, or cute little dresses with frills and bows – they look positively angelic. It’s a smorgasbord of humanity to delight in alongside all of those delectable dishes you’re about to dine on. Don’t wait up to 6 months or more to eat in a fancy celebrity chef’s land-based restaurant when you can board any number of cruiselines and dine on superb cuisine every night. Tempt your taste buds with Carnival’s mouthwatering Guy’s Burgers (Chef & BBQ Master Guy Fieri’s signature restaurant) or the indulgence of Oceania Cruises’ Marina and Riviera, where you can experience modern French cuisine at Jacques or get onboard Sirena for Jacques Bistro (the creation of Jacques Pepin). Seabourn’s all-inclusive steakhouse The Grill (Michelin-starred American Thomas Keller), and you can step up for one free dinner at Nobu, (famed chef Nobu Matsuhisa) while onboard Crystal Cruises. 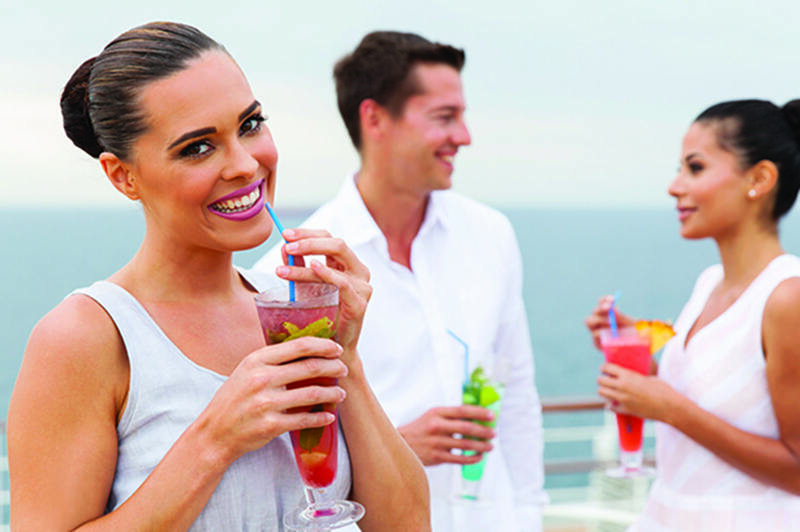 * If you’re into Michelin-stars, celebrity chefs and fine dining, you can’t go past these and more onboard restaurants! All this talk about food is making me think about our waistlines and staying healthy. Should you stick to salads, fruit and veges or throw caution to the wind and indulge? It seems a shame not to try the rich and flavoursome Lobster Bisque or the delicately poached chicken breast smothered in soured cream, shallots and mushrooms. Or indeed my favourite dessert in all the world… a Vanilla Crème Brulee, which I don’t think can be resisted under any circumstances by anyone. And so, we head to the onboard gym. Think state-of-the-art, well equipped fitness centres for all of those gym-junkies and those who need to atone for those few little indulgences the night before. Yoga, aerobics, rock climbing, ball games, stretch and spin classes – they’re all here for you to work out as you enjoy the gorgeous sea view. But wait, the Gym is also for those who simply want to chill out and relax in warm spa bubbles and maybe a massage before relenting and indulging in the sparkling bubbles of champagne later on. And we all know that my hand’s up for that one. Imagine your own balcony to enjoy the sea breeze, destination and sea views, or simply watching the world cruise by. Your own personal privacy where you have the choice to meet up with other passengers, or not. And while some will tell you that an inside or oceanview cabin is simply a place to sleep, or to recharge before setting the night on fire, anyone who has been in a Balcony cabin will tell you that recharging with your favourite bubbles on your own balcony at sunset is simply DIVINE. Speaking of balconies, is there anything more special than a picture-perfect sunset (or sunrise). Deep azure blue magically conjures up streaks of orange, subtle pinks and golds before subsiding into velvet purple hues. And as night falls into darkness the diamond brilliance of the stars come out to play, just reach up to touch them, and a carpet of light appears as the milky moon shimmers across gently lapping waves… cruising is just heaven. What are your onboard favourites? Login online now, or speak with your Accor Vacation Club Travel specialists. 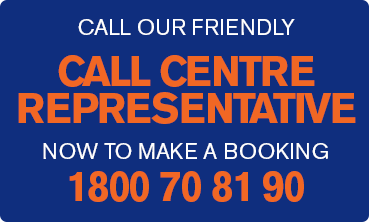 They are always available to help find and book the right cruise to suit your needs.